Axial pattern flaps are pedicle grafts which incorporate a direct cutaneous artery and vein at their base. The caudal superficial epigastric artery is the direct cutaneous artery for the caudal superficial epigastric axial pattern flap. The direct cutaneous artery and vein extend along the length of the flap for a variable distance and the terminal branches supply the subdermal, cutaneous, and subpapillary plexuses. The caudal superficial epigastric axial pattern flap is indicated for reconstruction of wounds of the contralateral medial thigh to the ipsilateral pelvic limb and perineum. In a 2015 study investigating the outcome of axial pattern flaps in 49 dogs and 24 cats, postoperative complications were reported in 89% of animals. 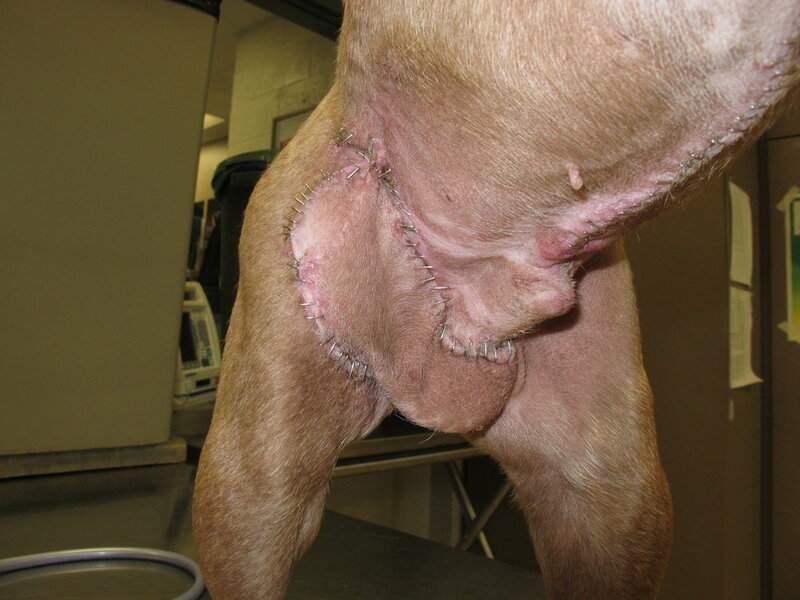 The most common complications included dehiscence (50% of axial pattern flaps in dogs and 75% of axial pattern flaps in cats), flap swelling (43% of axial pattern flaps in dogs and 50% of axial pattern flaps in cats), necrosis (46% of axial pattern flaps in dogs and 15% of axial pattern flaps in cats), infection (27% of axial pattern flaps in dogs and 40% of axial pattern flaps in cats), non-infectious discharge (14% of axial pattern flaps in dogs and 45% of axial pattern flaps in cats), and seroma (23% of axial pattern flaps in dogs and 20% of axial pattern flaps in cats). While the complication rate associated with axial pattern flaps is high, all of these complications were managed with either simple revisions (e.g., debridement and resuture) or conservatively (e.g., antibiotics, bandages, or monitoring). 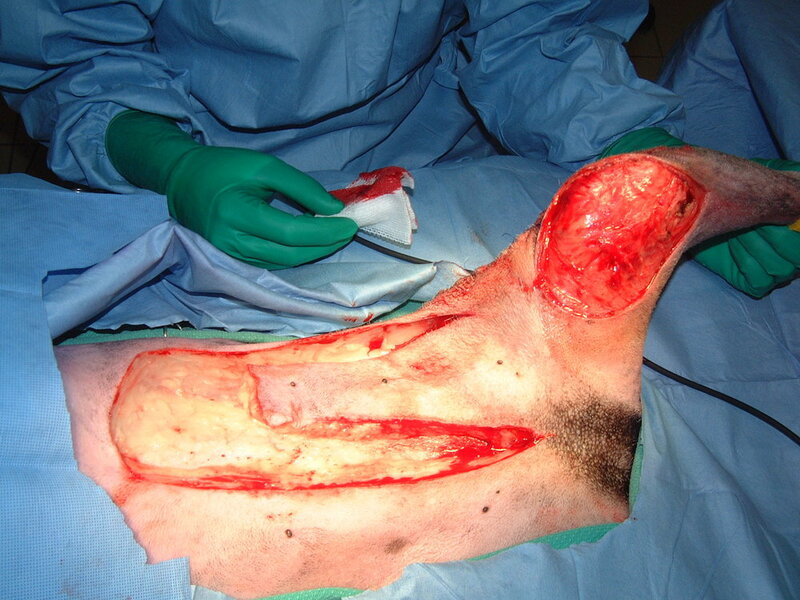 Overall, 93% of wounds were successfully reconstructed with an axial pattern flap. The flap outcome was assessed as excellent in 23%, good in 41%, fair in 30%, and poor in 7% of animals. The outcome following reconstruction using a caudal superficial epigastric axial pattern flap was not specifically stated in this study, but two small studies have reported results following wound reconstruction with a caudal auricular axial pattern flap. 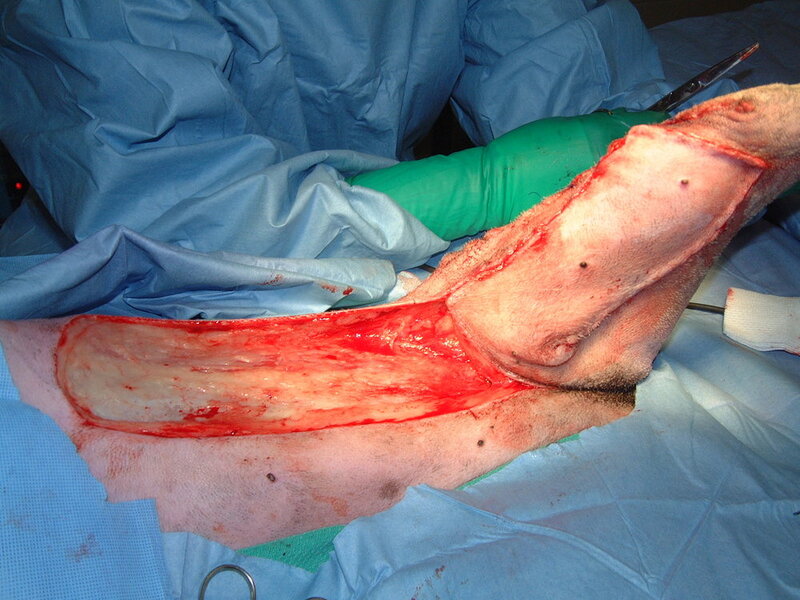 In a 2003 study of 10 dogs, nine dogs had 100% survival of their caudal superficial epigastric axial pattern flap and one dog had a small area of necrosis at the distal aspect of the flap; while other complications included edema (nine dogs), bruising (seven dogs), seroma formation (three dogs), and partial wound dehiscence (three dogs). 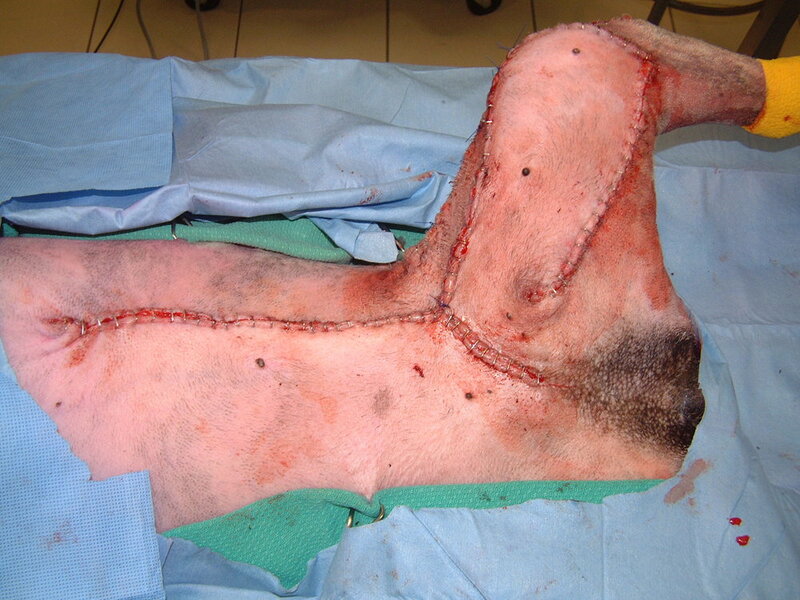 In a 2002 study of six cats in which a caudal superficial epigastric axial pattern flap was used to reconstruct wounds following injection-site sarcoma resections, all flaps had 100% survival and the only reported complication was minor wound dehiscence in two cats.